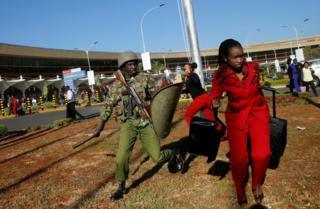 Image caption Riot police disperse Kenya Airways workers at Jomo Kenyatta International Airport near Nairobi. Hundreds of passengers were stranded at Kenya's main international airport after a strike caused major disruption to flights. 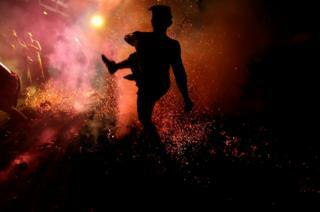 Image caption A man kicks a burning coconut shell during Mesabetan Api, a purification ritual for the holy day of Nyepi, which is a day of silence and self-reflection to mark the Balinese Hindu New Year. 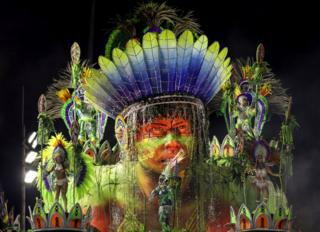 Image caption Revellers take part in Brazil's famous carnival celebrations. More than 70,000 people gathered in Rio de Janeiro's huge concrete arena known as the Sambadrome, where samba schools compete to be crowned carnival champions. Image caption Catwalk models, including Cara Delevingne (front row, second left), take part in an emotional finale for Karl Lagerfeld's final collection following his death last month. 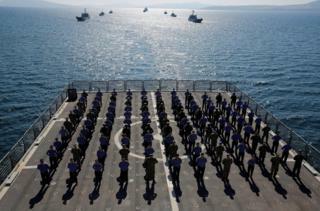 Image caption Crew members of the Turkish Navy's amphibious landing ship TCG Bayraktar (L-402) pose after a drill during a naval exercise off the coastal town of Foca in Izmir Bay, Turkey. 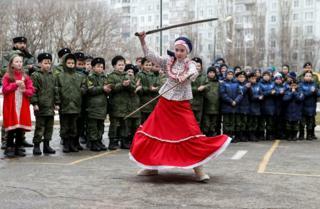 Image caption A student from the General Yermolov Cadet School performs with model swords during the celebrations of Maslenitsa - also known as pancake week - which marks the end of winter, in Stavropol, Russia. 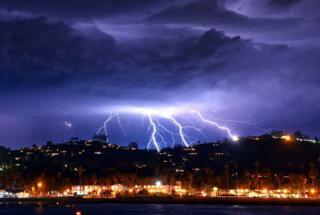 Image caption Lightning strikes as a storm approaches Santa Barbara, California. According to the LA Times, the National Weather Service recorded 1,489 pulses of lightning off the coast of Santa Barbara between 20:00 and 21:00 PST (04:00 and 05:00 GMT) on 5 March. 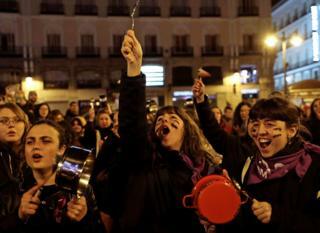 Image caption Women bang pots and pans as part of nationwide demonstrations on International Women's Day at Puerta del Sol Square in Madrid, Spain. 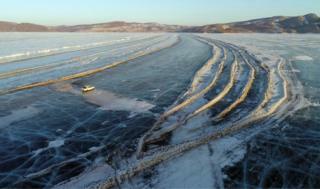 Image caption A car drives along a road connecting the banks of the ice-covered Yenisei River in Krasnoyarsk, Russia. Image caption Kanwara Kaewjin prepares backstage at the Miss International Queen 2019 transgender beauty pageant in Pattaya, Thailand.